The Noni (Morinda Citrifolia) plant grows well on sandy or rocky shores. Apart from saline conditions, the plant also can withstand drought and grows in secondary soils. Thus the plant can be seen in clearings, volcanic terrain, lava-strewn coasts and on limestone outcrops. Noni is a small evergreen tree which bears a fleshy yellow fruit. Uses as food: The Noni fruit is edible, but does not have a nice taste or smell. Nevertheless, Noni has been eaten during famine and in some Pacific islands is even a staple food of choice (Raratonga, Samoa, Fiji), where the Noni fruit were eaten raw or cooked. 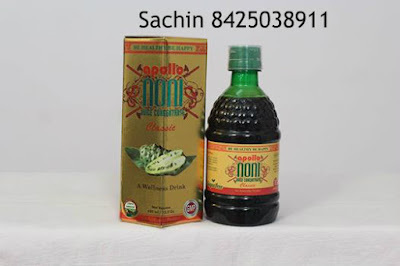 These days people use Noni primarily in Juice form. The Noni Juice is mixed with other fruit juices to make the taste and smell more palatable. A small evergreen tree discovered by the Polynesians in the Pacific, the Noni is considered to be a vital Medicinal Plant found in Hawaii, Andaman Nicobar, Fiji, Tahitian Island. More than 2,000 years old, this particular Noni Plant has been used in a wide range of medicinal applications to enhance the immune system, deliver superior antioxidants and increase energy and stamina in the human body. Noni fruits is often considered for diseases with rigid complications. The Noni is indigenous to Hawaii, Andaman Nicobar, Fiji, Tahitian Island, its volcanic soil and the climatic conditions in the island favour its growth here. Our tests have shown that the active ingredients- ProXeronine, Xeronine, Anthraquonine, Vitamin C and other active compounds responsible for health benefits are far higher in our Noni Juice, Noni Capsules and Noni Powder than the active compounds of noni found in mainland India and hence the effectiveness of the Noni products are much enhanced.